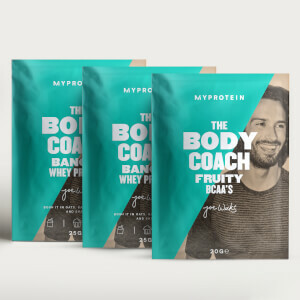 This delicious whey protein makes for a bangin’ shake that you can trust to sort you out after a fat-burning workout – delivering 18g of protein per serving, it’s ideal for your fitness goals, no matter what level you are. It’s been through rigorous quality and purity testing to make it one of the best protein powders out there. No nonsense. This is convenient, high-quality protein that will help you to stay on track with becoming a leaner, healthier and happier you — with just 1.9g of fat, 2g of carbs, and only 98 calories per serving. It’s important to support your muscles with a supply of protein after you train,1 and it’s just what you need to get you back on your feet and ready to attack another HIIT session. A delicious shake like this is great for on the go, so if you haven’t prepped or don’t have time for a proper sit down meal post-workout, smashing one of these is ideal for giving your body the good stuff. Nutritionals based on Chocolate Brownie version. 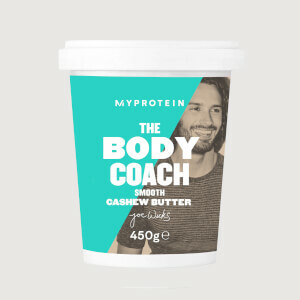 When to take The Body Coach Bangin’ Whey Protein? It’s super-simple to get a shake ready — just add 1 large scoop (25g) to 150-250ml water or milk, 30 minutes before or after a workout. Bosh. 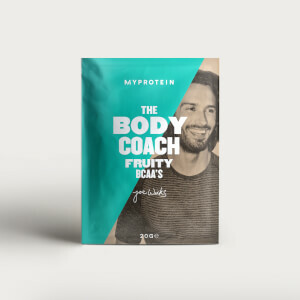 What works well with The Body Coach Bangin’ Whey Protein? Refuel after a workout with one of my favourite post-workout breakfasts by mixing a scoop with Joe’s Rolled Oats — it’s a perfect combo for some easy, tasty overnight oats that’ll fill you up and start your day right. Chocolate Brownie Flavour: Whey Protein Concentrate (Milk)(86%), Emuslifier (Soy Lecithin), Fat Reduced Cocoa Powder, Flavouring, Sweetener (Sucralose). Natural Vanilla Flavour: Whey Protein Concentrate (Milk)(95%), Emuslifier (Soy Lecithin), Natural Flavouring, Sweetener (Sucralose). Salted Caramel Flavour: Whey Protein Concentrate (Milk)(96%), Emuslifier (Soy Lecithin), Flavouring, Colour (Ammonia Caramel), Sweetener (Sucralose). Whey protein concentrate ready-to-mix powder. Chocolate brownie flavour with sweetener. Whey protein concentrate ready-to-mix powder. Natural vanilla flavour with sweetener. Whey protein concentrate ready-to-mix powder. Salted caramel flavour with sweetener. Flavour is really nice. I'm never a fan of the choc flavoured ones but I've decided to give it a go and I totally loved it.